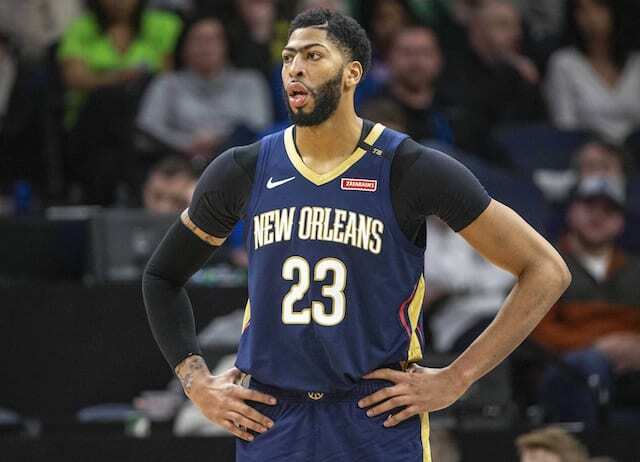 Los Angeles Lakers put forth a valiant effort but ultimately were unable to maintain a double-digit lead and suffered a 115-101 loss to the Golden State Warriors. Perhaps shellshocked by late news LeBron James would need to sit one game after returning, the Lakers were sluggish to start, allowed the Warriors to shoot 64 percent in the first quarter and trailed by as many as 14 points. 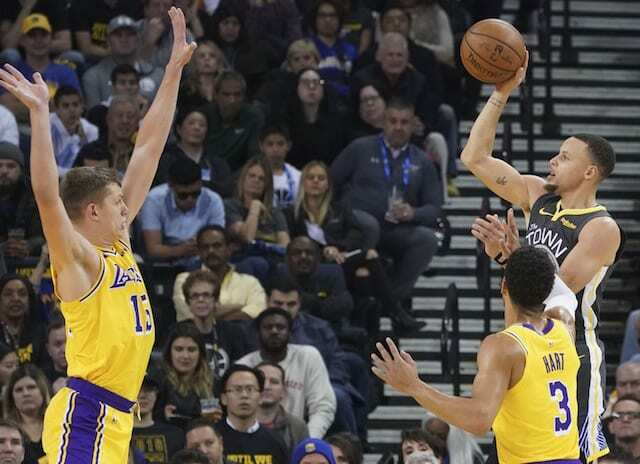 But the young Lakers then found their sea legs, with Moritz Wagner providing a spark off the bench. Brandon Ingram also began to put together another strong performance, scoring 10 points in the second quarter to get the Lakers within 63-58 at halftime. In addition to turnovers and defensive miscues on backcuts by the Warriors, the Lakers struggled to contain Klay Thompson for a second time in as many matchups. That changed in the third quarter, as the Lakers took a 71-69 lead on Ivica Zubac’s slam dunk. They stretched it to 10 points but a DeMarcus Cousins poster-worthy dunk on Kyle Kuzma that resulted in a three-point play turned momentum. It sparked a 17-5 run for the Warriors, which gave them an 88-86 lead heading into the fourth quarter. On a night where Steph Curry missed his first eight field goals and didn’t make one until the fourth, and as the Lakers put the clamps on Thompson, Andre Iguodala rescued the Warriors with back-to-back 3-pointers. That created some separation, and Curry shook off his rough night to connect on consecutive threes to put the Lakers in a hole they never recovered from. The loss was their 12th in 18 games without James this season.